The Secret Diary of Steve Jobs : This is all the pull Branson has? This is all the pull Branson has? So that crazy goat-bearded, bleach-haired, balloon-flying freak Sir Richard Branson has hired a band, so to speak, to perform a concert on his SpaceShip Two Enterprise. OK, just one song. With his juice, you’d think, what, Stones? Led Zep? Beatles reunion with John and George? Lady Gaga? No. 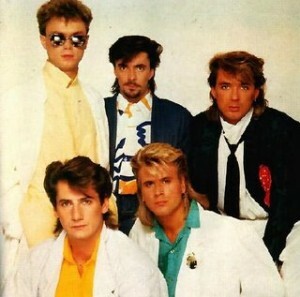 Spandau Ballet. Eighties one-hit wonders. What, no Duran Duran? Flock of Seagulls?